GFBB Note: This same thing happened to me tonight. 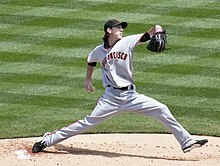 After taking a 5-0 lead in the 2nd against the Padres, the SF Giants proceeded to lose the game in the bottom of the 12th…….. their 4th loss in a row. And to be honest with you the minute the Padre hit that double in the 12th I turned off the TV so I could clean up the kitchen, which I did. I notice on the internet the Giants did indeed lose in the bottom of the 12th. I knew they would. I just didn’t want to watch it. But let’s face it, we’ve had our share of victories recently so I’m not always a fair weather fan. But c’mon, four in a row? Just wanted to let Jed McKeehan know he’s not alone. It’s something we baseball fans have in common. Good read ~ thanks for writing it! GFBB Note: This was fun! It would be nice if someone from each state could put some effort into a similar project for their local fans. Thanks CalHiSports.com. Good read! 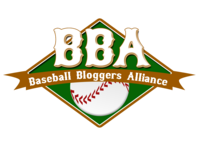 With the start of the Major League Baseball season underway, we thought we would help give you a rooting interest in any game that you may turn on to watch this season, even if it doesn’t involve your favorite team. Go inside to see a list of every team and a California player to watch. GFBB Note: The reviewer gave this movie a 4.5/5. I’m looking forward to seeing a good baseball movie ~ maybe next week. It’s been a long dry spell since “MoneyBall” and I’m ready for more! Thanks to Leather Wing Media for this thoughtful review. Jackie Robinson integrated professional sports and became a symbol for America. His number, 42, is the only number retired throughout all of baseball. 42 the movie is his story. 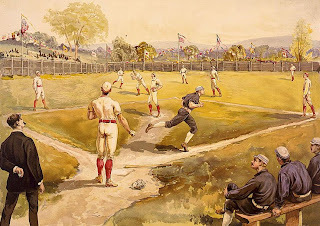 The national sport of baseball has symbolically represented America from the organized crime generated dive that the Chicago Black Sox took in 1919 and in the war effort of World War II. In 1947, Jackie Robinson and Brooklyn Dodgers part-owner Branch Rickey challenged the unwritten color-barrier rule that split the nation in two. 42 conveys the significance and tribulations of this event brilliantly, and in that is its greatest triumph. Telling Robinson’s story on the silver screen (in color) is way overdo, and I’m happy to see that the script we have been hearing about floating around Hollywood for years turned out to be sharp, smart, quick-witted, and real. 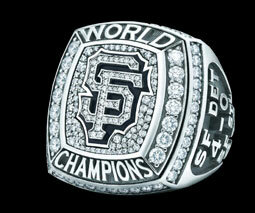 San Francisco Giants 2013 World Series Ring Raffle! HERE’S AN UPDATE TO OUR WORLD SERIES RING RAFFLE OF 2011.